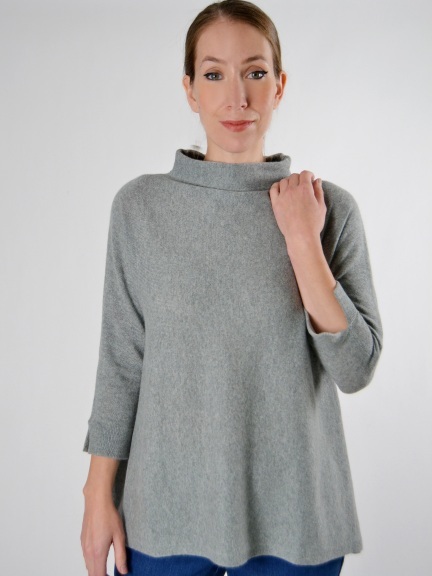 A draped, cozy cashmere sweater from Kinross features a funnel collar. 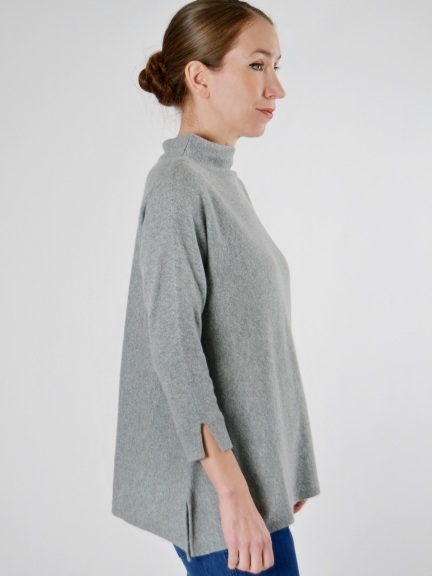 Loose A-line silhouette has 3/4-length sleeves. Exaggerated vents at side seams are reflected in the split cuffs for a unique design detail.